What is a South Dakota Last Will and Testament? 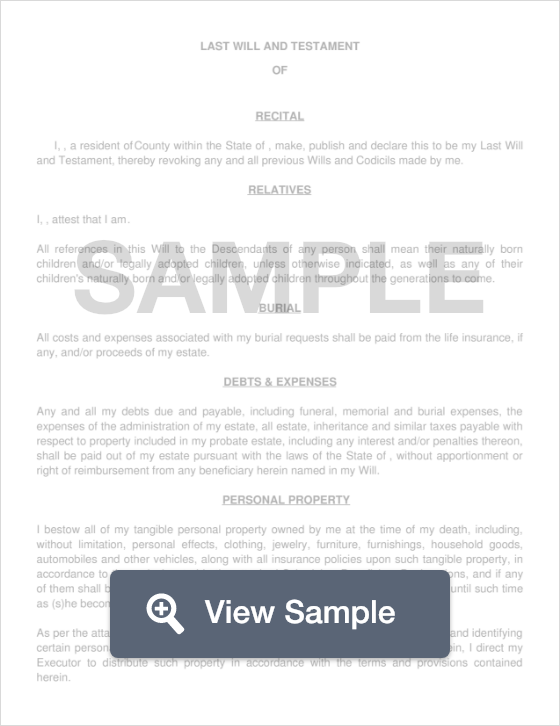 South Dakota Last Will and Testament: What Is It? In South Dakota, a Last Will and Testament is a document that clearly displays what a Testator wishes to do with the assets of his or her estate once he or she is no longer living. Generally, people use a Will to distribute their assets to their children, spouse, or siblings, but a Will can designate a person’s assets to charity, family friends, and anyone else that the Testator wishes. Additionally, the Testator has the power to change his or her Will at any time. In order for this document to be considered legal in South Dakota, it must be signed by two Witnesses and notarized by a Notary Public. Witnesses - According to §29A-2-502, the Will must be signed by two (2) individual Witnesses. Pet names, insurance policy numbers, property addresses, etc.